Over the course of several centuries, the inhabitants gradually settled down and took up agriculture. 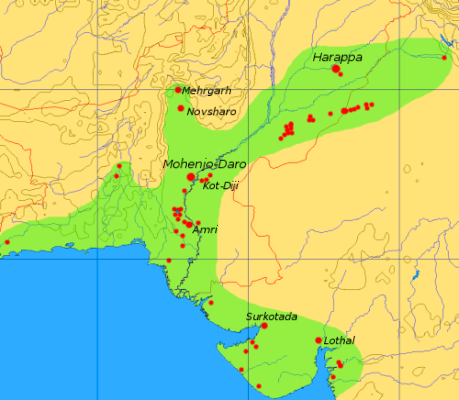 The Indus Valley Civilization was an ancient civilization located in what is Pakistan and northwest India today, on the fertile flood plain of the Indus River and its vicinity. Evidence of religious practices in this area date back approximately to 5500 BCE. Farming settlements began around 4000 BCE and around 3000 BCE there appeared the first signs of urbanization. By 2600 BCE, dozens of towns and cities had been established, and between 2500 and 2000 BCE the Indus Valley Civilization was at its peak. 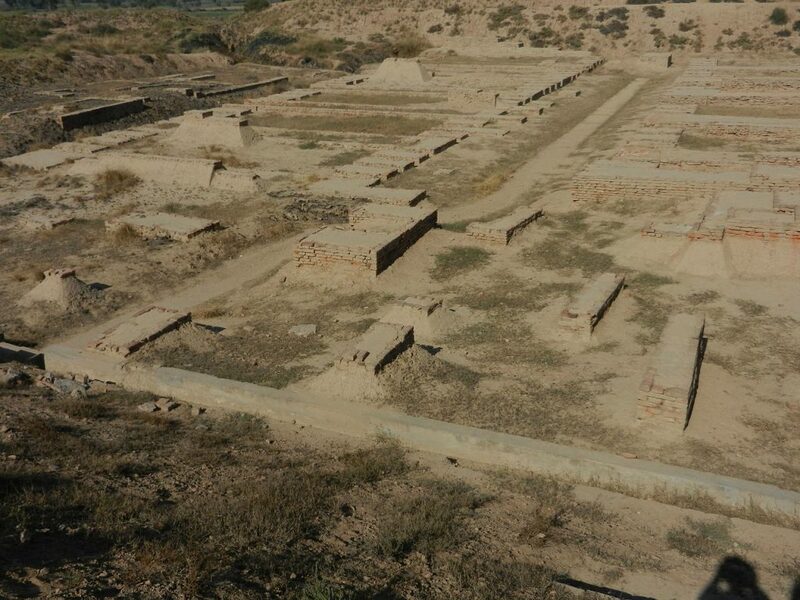 Two cities, in particular, have been excavated at the sites of Mohenjo-Daro on the lower Indus, and at Harappa, further upstream. The evidence suggests they had a highly developed city life; many houses had wells and bathrooms as well as an elaborate underground drainage system. The social conditions of the citizens were comparable to those in Sumeria and superior to the contemporary Babylonians and Egyptians. These cities display a well-planned urbanization system. 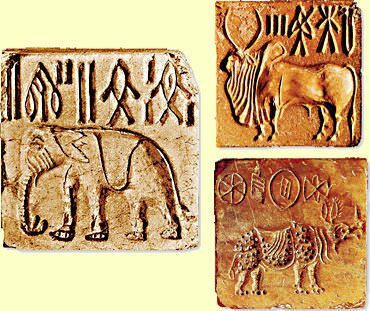 The Indus Civilization had a writing system which today still remains a mystery: all attempts to decipher it have failed. This is one of the reasons why the Indus Valley Civilization is one of the least known of the important early civilizations of antiquity. Examples of this writing system have been found in pottery, amulets, carved stamp seals, and even in weights and copper tablets. Another point of debate is the nature of the relationship between these cities. Whether they were independent city-states or part of a larger kingdom is not entirely clear. Because the writing of the Indus people remains undeciphered and neither sculptures of rulers nor depictions of battles and military campaigns have been found, evidence pointing in either direction is not conclusive. By 1800 BCE, the Indus Valley Civilization saw the beginning of their decline: Writing started to disappear, standardized weights and measures used for trade and taxation purposes fell out of use, the connection with the Near East was interrupted, and some cities were gradually abandoned. The reasons for this decline are not entirely clear, but it is believed that the drying up of the Saraswati River, a process which had begun around 1900 BCE, was the main cause. Other experts speak of a great flood in the area. Either event would have had catastrophic effects on agricultural activity, making the economy no longer sustainable and breaking the civic order of the cities. Around 1500 BCE, a large group of nomadic cattle-herders, the Aryans, migrated into the region from central Asia. The Aryans crossed the Hindu Kush mountains and came in contact with the Indus Valley Civilization. This was a large migration and used to be seen as an invasion, which was thought to be the reason for the collapse of the Indus Valley Civilization, but this hypothesis is not unanimously accepted today. Thus, the Indus Valley Civilization came to an end. Over the course of several centuries, the Aryans gradually settled down and took up agriculture. The language brought by the Aryans gained supremacy over the local languages: the origin of the most widely spoken languages today in south Asia goes back to the Aryans, who introduced the Indo-European languages into the Indian subcontinent. Other features of modern Indian society, such as religious practices and caste division, can also be traced back to the times of the Aryan migrations. Many pre-Aryan customs still survive in India today. Evidence supporting this claim includes: the continuity of pre-Aryan traditions; practices by many sectors of Indian society; and also the possibility that some major gods of the Hindu pantheon actually originated during the time of the Indus Valley Civilization and were kept “alive” by the original inhabitants through the centuries. Fortson IV, B. Indo-European Language and Culture. (Wiley-Blackwell, 2009). 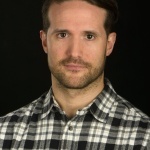 Haywood, J. The Penguin Historical Atlas of Ancient Civilizations. (Penguin Books, 2005). Originally published by the Ancient History Encyclopedia, 10.30.2013, under a Creative Commons: Attribution-NonCommercial-ShareAlike 3.0 Unported license. This entry was posted in Uncategorized and tagged Ancient, History, India, Indus Valley. Bookmark the permalink.